This week, the Office for National Statistics held its Economic Forum at The University of Manchester. Here, Professor Diane Coyle reflects on the event and the case for more regional statistics. The Office for National Statistics held its recent Economic Forum at the University of Manchester, with a focus, among other things, on the work it is doing to improve sub-national statistics for the UK economy. Increasing the availability of more granular statistics was one of the recommendations made by Professor Sir Charles Bean in his 2016 Independent Review of Economic Statistics, and ONS is rising to the challenge. From this year it has started producing additional statistics at smaller geographic scales on a range of important indicators, from regional Gross Value Added, productivity (including by sector) and consumer spending to better data on the exports of services and regional prices. This is a programme of work so it will be some time before all of these measures are published; but the ultimate aim is also to enable users of statistics – such as the representatives of the GMCA and other local authorities, business users and academics who attended the Forum – to dive into the statistics at the scale and geography they want. This ambition is being enabled by the availability for the first time of a lot of ‘administrative data’ such as VAT records and electronic transactions data, as the traditional statistical collection method of surveys would be too expensive to replicate at the level of every English region and even smaller geographies. An important part of the drive is also the increasing user need. The city devolution deals mean the new combined authorities around the country have an urgent need for the statistics relevant to their geographies, both to inform policies and to enable their voters to be able to hold them to account properly. Statistics might seem dry but they play a vital democratic function. ONS has already responded to this need with the publication of Combined Authority Economic Indicators before last May’s elections. This publication could be updated before the next set of elections if the demand is there – and the ONS has asked for user feedback. It is also publishing Regional Short Term Indicators, addressing the demand for more timely statistics, as the annual GVA figures are only available with a significant lag – although through its support for the Economic Statistics Centre of Excellence (ESCoE) – ONS is also interested in what is termed ‘nowcasting’ of these figures, or in other words producing estimates based on a mix of timely data and estimates. Another element of the presentation at the Forum was the regular ONS overview of how the national economy is performing, taking in the productivity figures which cast a pall over the recent Budget forecasts, the importance of services in the UK economy and – intriguing to a number of the audience – the ‘economic wellbeing dashboard’. This aims to give a snapshot of a broader range of statistics apart from the usual headline figures, speaking to individuals’ experience of the economy. It covers disposable income per head, for instance, not just average GDP growth, wealth as well as income, and people’s perceptions of their financial situation. The final presentation involved me speaking about my work for the ESCoE on ‘measuring the modern economy’, looking at how the digitalisation of the economy is affecting the statistics and how they need to be interpreted. A few years ago, anybody who said economic statistics would become a subject of great fascination would perhaps have been mocked, but the statistics are how the great changes taking place in the economy manifest themselves. These range from the shifts in the political landscape to the technology-driven rewiring of production. The audience for the ONS event was testament to how vital the official statistics are as a public good so people can try to understand and respond to what is happening. 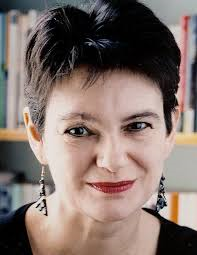 Diane Coyle is Professor of Economics at the University of Manchester and Co-Director of Policy@Manchester. Professor Coyle is a member of the Natural Capital Committee and an ONS Fellow. She was previously Vice-Chair of the BBC Trust, a member of the Migration Advisory Committee and the Competition Commission.